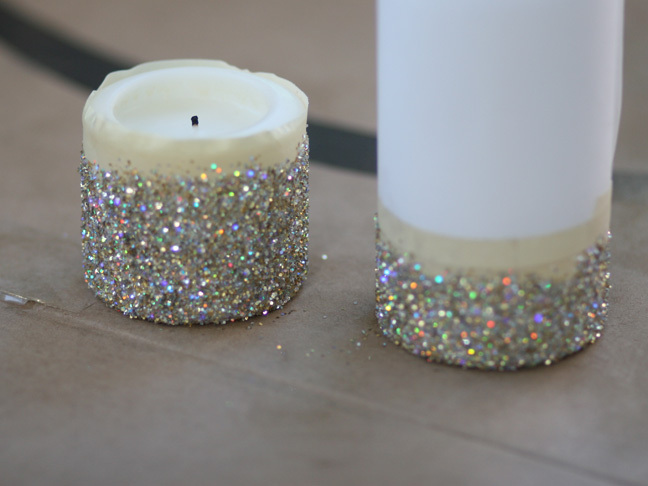 Wrap paper around the candle, exposing the area you want to glitter and secure with an even line of scotch tape. 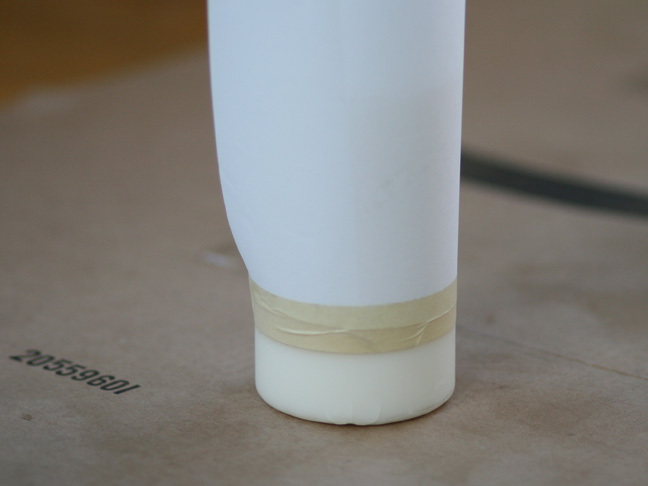 It should look like this when it’s ready to go. 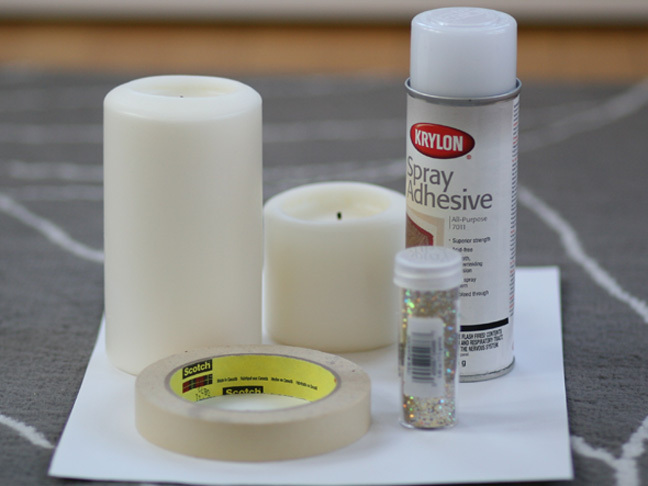 Place on a cardboard box and spray the exposed candle with an even layer of spray adhesive. 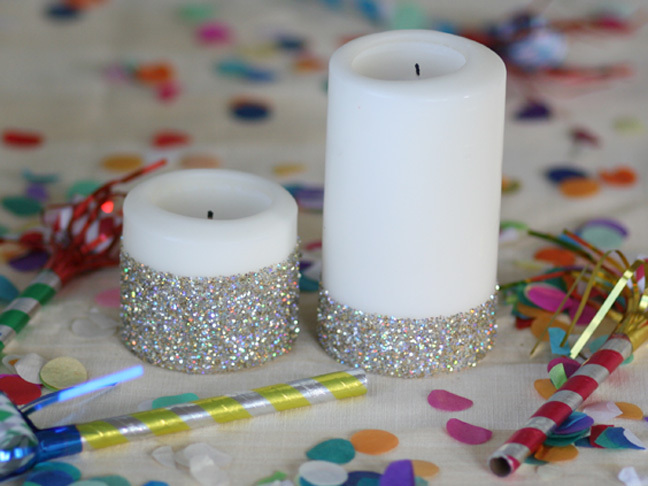 Now gentle sprinkle on glitter over a piece of paper, trying to get an even coat. 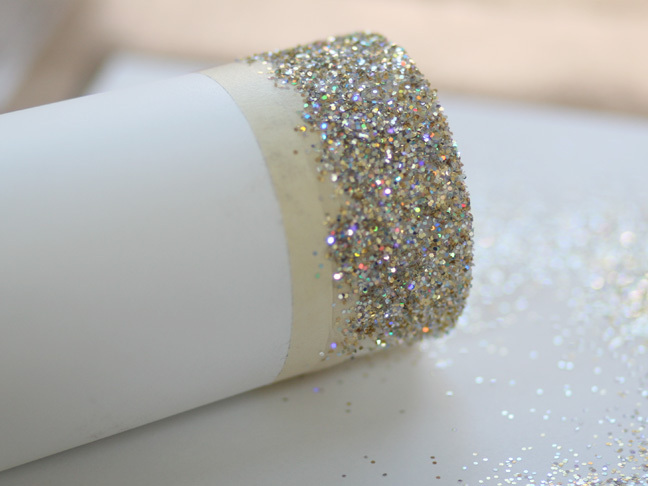 You can re-use the glitter that falls by folding up the paper and pouring it back into the glitter container. 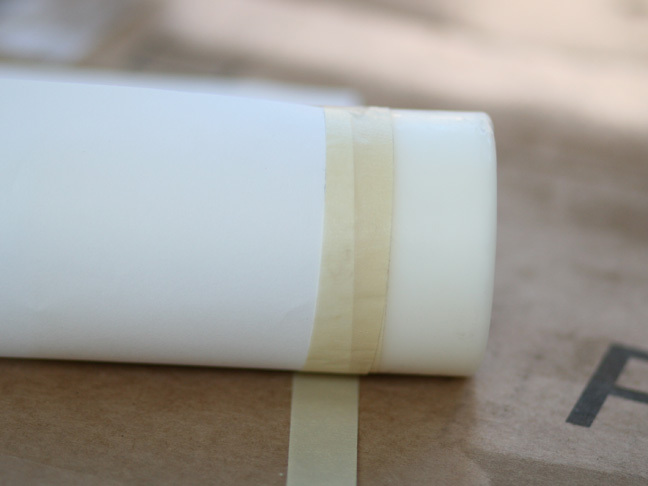 Do the same with other candles and let try completely before removing the tape.